UnigineEditor provides the core functionality for creation and editing of virtual worlds for UNIGINE-based applications based on the assets workflow. It allows you to easily view and modify virtual worlds by adding, transforming and editing the nodes. Hot loading into the running engine instance via the editor2_load console command. 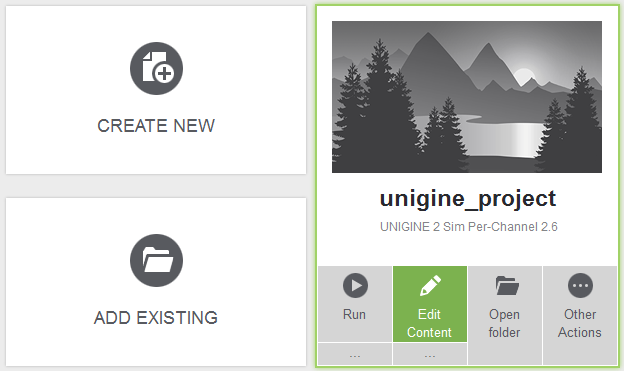 You should keep UNIGINE SDK Browser launched to use UnigineEditor.